It was closing day at Citi Field as the Mets faced the Miami Marlins. For several years Karen, Lee and I have gone to the final game of the season but today we were joined by the host and two distinguished listeners of the 60s 70s Show heard on Friday nights on Rewound Radio joined us. Bob Radil, Mary Ellen Brown and Ira Sonin watched the game from section 515. Noah Syndergaard pitched a 5-hit shutout improving his record to 13-4. The hitting highlight was an RBI double by Todd Frazier. In my opinion, it should have been caught by left fielder Isaac Galloway. Thus, the Mets finished the season with two 1-0 victories over the Marlins. At least today's game was completed in 9 innings while last night's game with a tribute to David Wright lasted 13 innings. 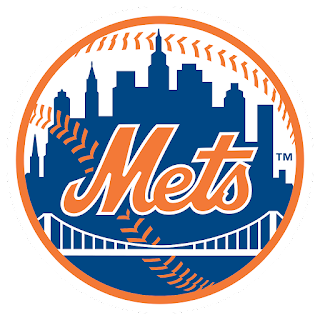 This ends a very disappointing season for the Mets who finished with a record of 77-85 which was an improvement of last season's record of 70-92. In both seasons the team was plagued by injuries. they won 33 of their last 55 games. but it was too little, too late. Let's see what play moves management makes in the off-season. lucky to be able to go to last game victory and have the great company watching with me. mets games always make me feel "forever young"